Content on your website can be the most powerful marketing you have. Whether your guest posting on another website or writing sales content for your own domain, people are going to read your words and make a decision based on what they read. Author information is crucial in the article its self mainly when you are guest posting on another website. Readers automatically assume that the website hosting an article also produced the content. It’s detrimental to identify yourself and what website you belong to. Otherwise your giving the host site all the credit. If your entire goal is to just get a link, then I guess you can ignore what I just said. But why not build your brand? If you are going to use an image with your article make sure it is relevant and helpful to the reader. Too many articles have generic stock photography and readers have learned to block them out just like they block out tacky banner ads. Put your logo in the article if you can get away with it. Your logo has more power than your might think, if it’s a good logo. 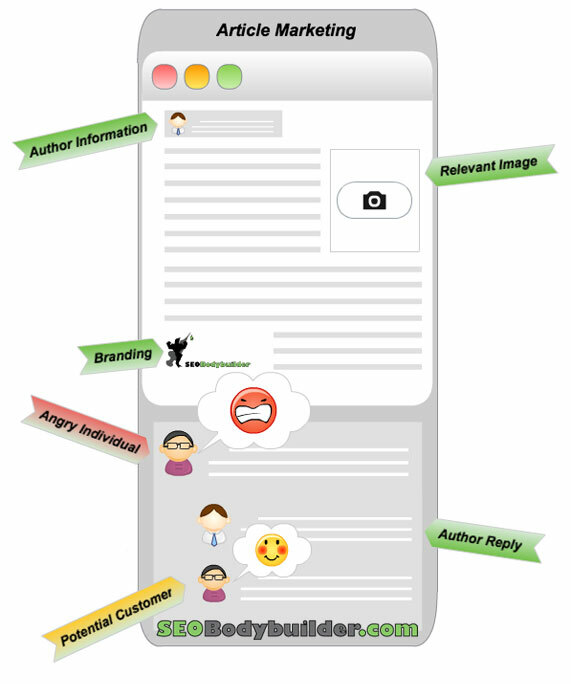 Readers will recognize your logo weeks after reading your article or guest post. A lot of people read your content, fewer comment. But the people who do comment either have a strong opinion in favor or against what you just wrote. Either way you have to acknowledge them or resolve their concerns. Angry people can easily be calmed down with a simple, well thought out, reply. Their voice will echo into the internet and may be the deciding factor of whether thousands of readers decide to buy your product or use your service. Don’t over-look you critics! This entry was posted in Content SEO, Inbound Marketing by Russell Jensen. Bookmark the permalink.